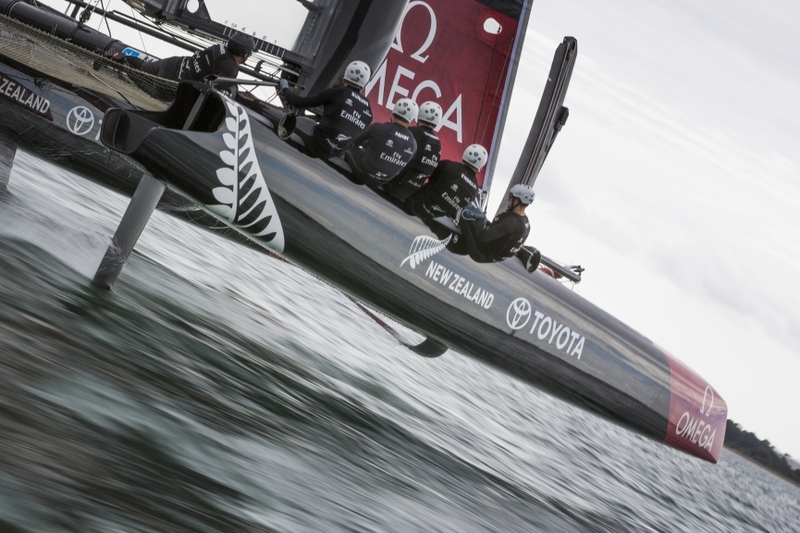 Toyota New Zealand today announced their ongoing sponsorship with Emirates Team New Zealand extending the support of the team for over 20 years. 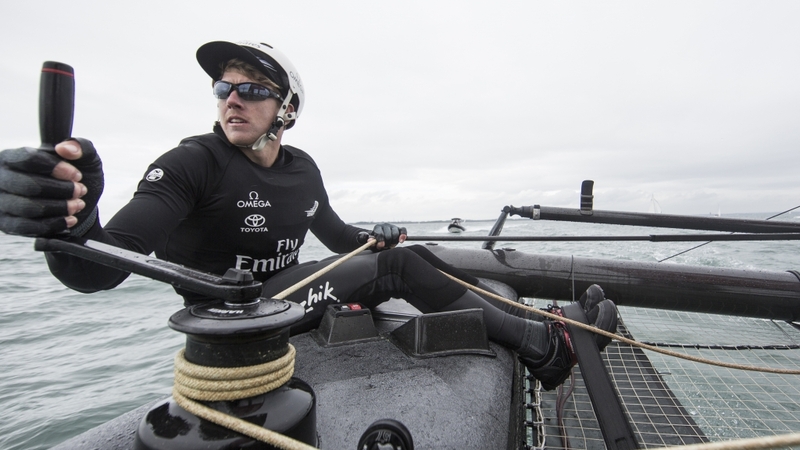 “To have an Emirates Team New Zealand boat without the Toyota brand proudly emblazoned on it would be like driving a Hilux with Corolla wheels- it simply would not feel right. The brand is a huge part of who this team is and we welcome them re-joining Emirates Team New Zealand as a major sponsor.” said CEO Grant Dalton. By the time the America’s Cup gets underway in 2017 Toyota will have been sponsoring Emirates Team New Zealand for 25 years. “There is no doubt with the increase in technology, and some new talent on the team this will be another extremely exciting regatta. Of course bringing home the ‘Auld Mug’ would be a perfect way to celebrate our silver anniversary,” Andrew Davis, Toyota’s General Manager of Marketing says. Speaking of the young guys, Peter Burling and Blair Tuke, hot on the heels of winning their 17th straight 49er event at the ISAF World Cup, have finally had the chance to sail the newly revealed Emirates Team New Zealand AC45’F’ in Southampton alongside the immense experience of 15 times World Champion Glenn Ashby and Volvo Ocean Race winner and America’s Cup veteran Ray Davies. 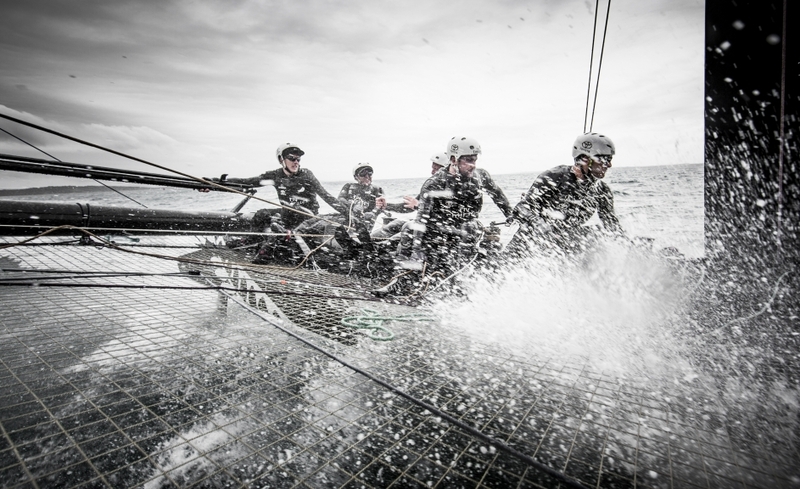 Also getting a taste of the foiling action are four young sailing prospects showing all the right signs of what the team are looking for in building the most exciting sailing team of the 35th America’s Cup. It is an exciting time for Emirates Team New Zealand getting back out on the water with a fresh new look team backed up by a group of incredibly strong and supportive sponsors. 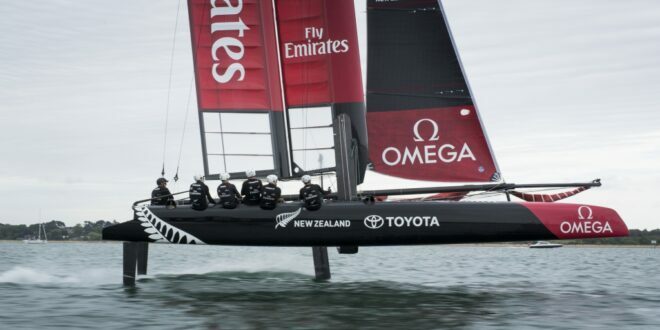 Toyota is the third established sponsor, alongside Emirates and Omega, to continue their support of Emirates Team New Zealand in having the talent and drive to win back the America’s Cup in 2017.